Strips of patterned metallic papers hanging from navy twill ribbon, accented with gemstones. 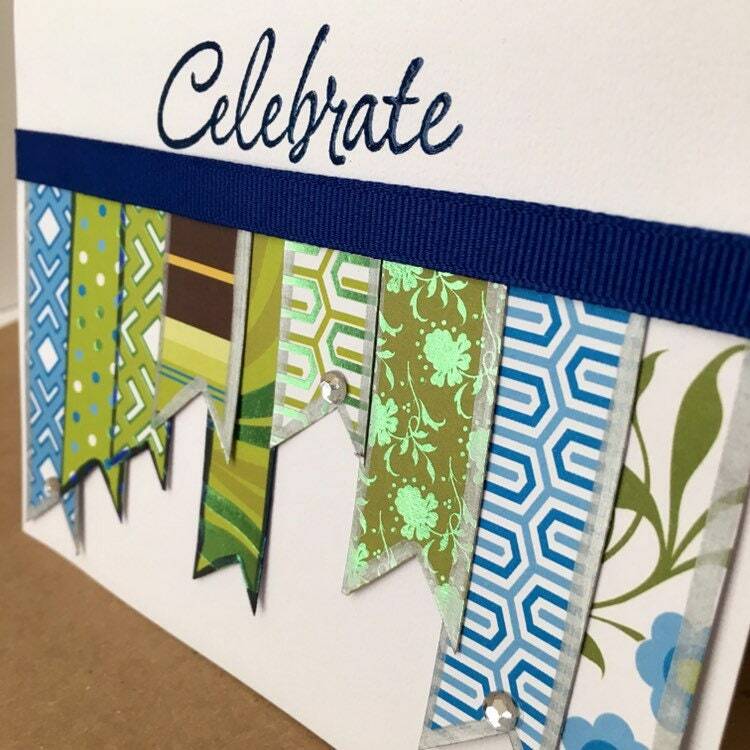 Navy hand stamped and embossed “Celebrate” on front. Inside reads: Wishing you the very best of birthdays.